Kimberly Coleman is an experienced business lawyer focused on commercial transactions with significant practice in vendor management. She is a Certified Information Privacy Professional, US and holds an MBA from Northwestern University's Kellogg School of Management. Ms. Coleman leads the development of a vendor management program and continues to ensure that the company is compliant with the requirements of its primary regulator, the Office of the Comptroller of the Currency (OCC). 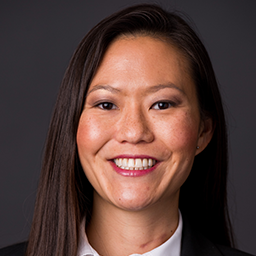 She has coordinated and leads risk assessment processes of current and potential vendors, including outside counsel and lead the divestiture and acquisition of assets, including accompanying processes, which directly impacts financial reporting. Ms. Coleman manages the company's intellectual property portfolio, and any related claims while serving on the Data Protection Committee. She has helped create and develop the company's privacy function, and served as Privacy Officer for several years working closely with the Chief Information Security Officer, the Risk Officer, Fraud unit and our incident response team and also reported privacy events to our chief executives. She was recognized by Crain’s Detroit magazine as a Rising Star in 2014. She is a volunteer for the Mountain chapter of the Association of Corporate Counsel as well as the community as a board member of First Step, and as a member of Georgia Lawyers for the Arts.